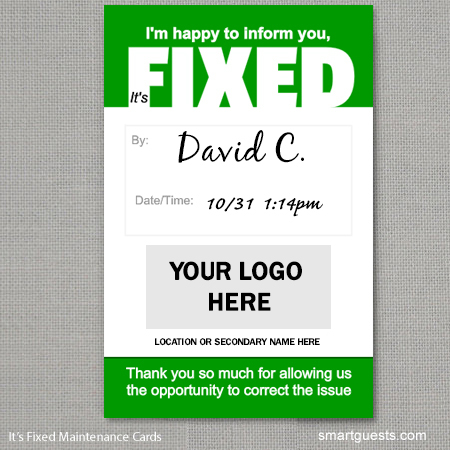 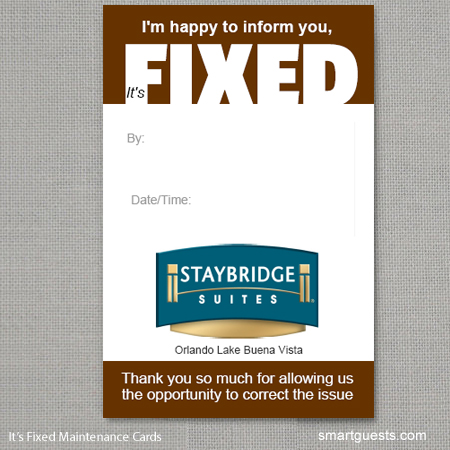 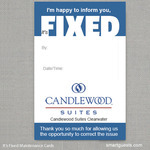 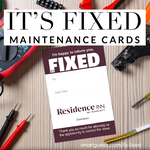 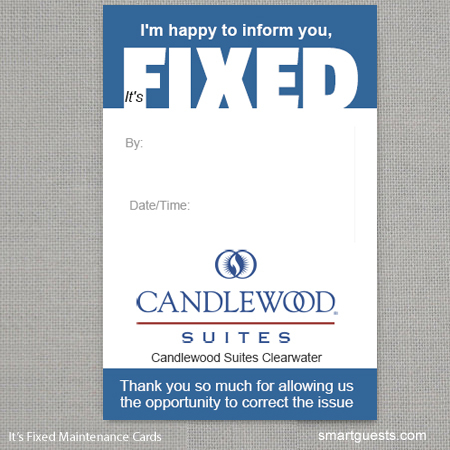 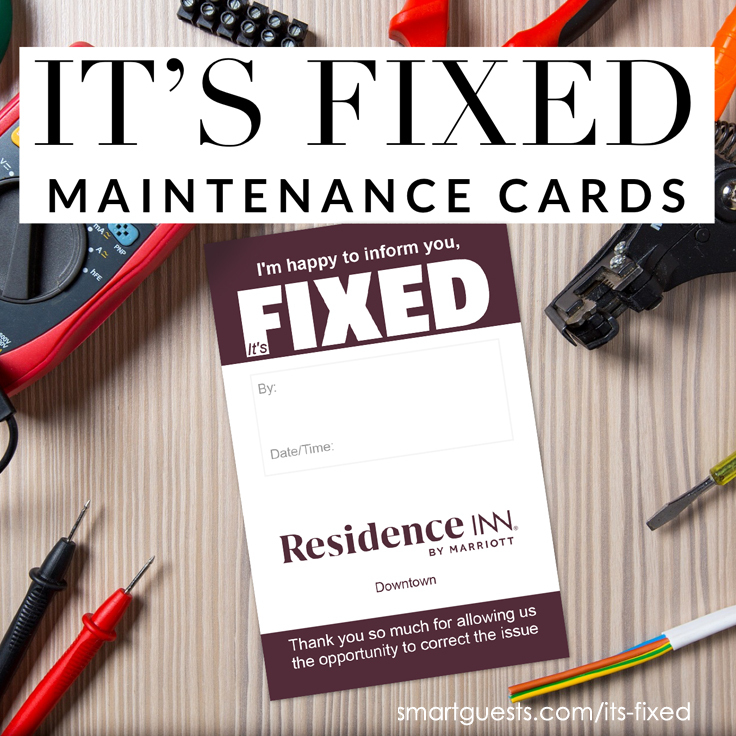 Our It's Fixed Maintenance Cards are an effective tool that notifies guests, a member of hotel team has been in their room and fixed the issue. 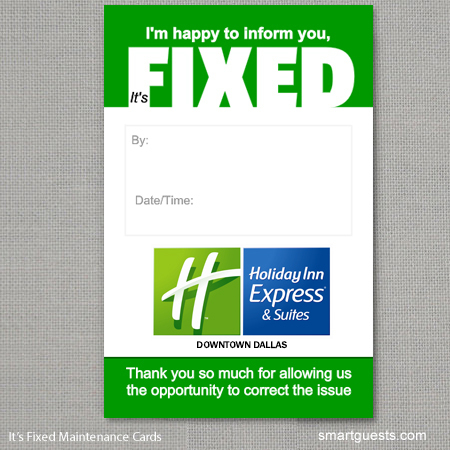 This beautifully designed card will improve customer service scores and prevent negative guest experiences. *Don't have logo? 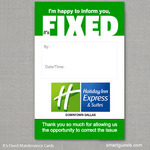 No worries, add to cart and we'll take care of the rest. 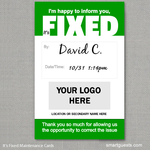 We'll even send you a final proof before printing.